Cité des Télécoms gets its famous radome captured in every guest picture! 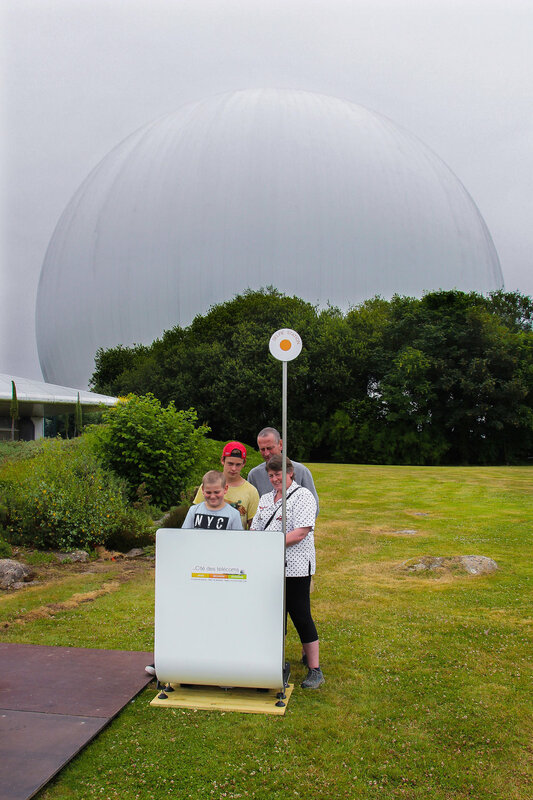 This summer, the largest European centre dedicated to telecommunications was offering a free panoramic selfie capture for every guest. The outdoor touchscreen kiosk located near the entrance allowed guest to trigger a remote camera and instantly receive their panoramic selfie video delivered in their mailbox. Have a look at the result! It's the perfect shot to capture the impressive Radôme - a giant white bubble 50 metres high protecting a radar antenna.